Product prices and availability are accurate as of 2019-04-12 18:34:17 EDT and are subject to change. Any price and availability information displayed on http://www.amazon.com/ at the time of purchase will apply to the purchase of this product. 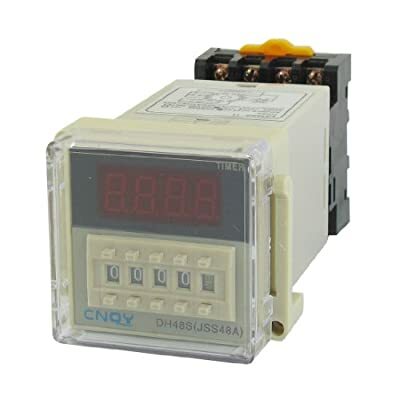 Features: clear plastic cover on the panel, power on delay, two group of delay contact. power delay operate mode. panel mounting type. 11 pin terminals for installation. 4 digits display and double row knob for setting time. Used widely for timing delay control in the industrial automation system and mechanical equipment.